Use your most ghostly voice to read the following . . . Welcome to Perfect Picture Boo Friday! Actually it’s Perfect Picture Book Friday :-), but I’m trying to set a mood here! Don’t be scared, but I have a spooky pick for today. And my pick should be in your house. Because it is ……. 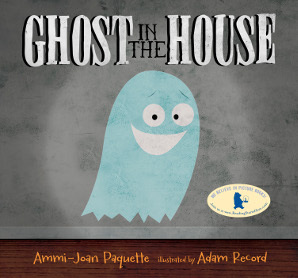 Synopsis: When a little ghost goes slip-sliding down the hallway, he suddenly hears…a groan! Turns out it’s only a friendly mummy, who shuffles along with the ghost, until they encounter…a monster! As the cautious explorers continue, they find a surprise at every turn — and add another adorably ghoulish friend to the count. But you’ll never guess who is the scariest creature in the house! Boo! Watch out for this rollicking, cumulative counting book for a Halloween treat that’s more playful than scary. Until suddenly he hears . 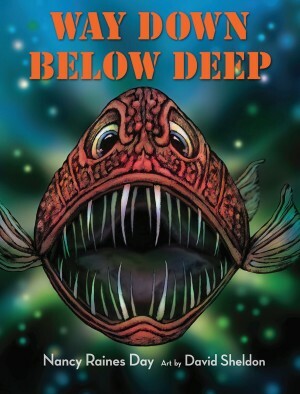 . .
Resources: I don’t think it will give anything away to tell you about the characters that appear in the story-a ghost, a mummy, a monster, a skeleton, a witch, and a child. I have crafts to go along with each. HERE is the cutest Ghostly Ghoul Wreath made with tissues and a few other items. The wreath is adorable, but you could also make individual ghosts. And click HERE to have a look at these paper towel mummies. HERE are footprint monsters that are too adorable to miss! HERE are Q-tip skeletons. And HERE are handprint witches. Parents could help young children make these at home. The child/children could hold up the characters as they appear in the story and pretend that they are the child in the story. The same thing could be done in the classroom, or the teacher could divide the class into five groups (ghosts, mummies, monsters, skeletons, witches), and each group would make and represent a character in the story. Why I Like This Book: I love the month of October. Crisp mornings, colorful foliage, cups of pumpkin spice coffee, and of course . . .
Halloween picture books! This is a spooktacular (sorry, couldn’t resist) Halloween picture book! And it’s rhyming! 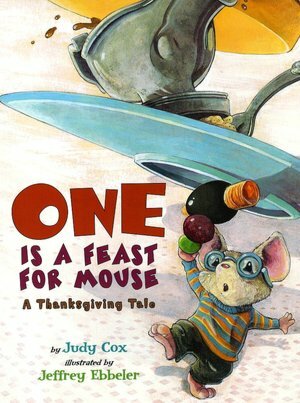 Those of you who drop by often know that I LOVE rhyming picture books and this one is so much fun! The language! Oh the language! I just love, “he goes slip-slide with a swoop and a glide”! Oh.my.ghostness! Isn’t that too cute? Can’t you just see the ghost ghosting along? And the too-cute-to-be-scary illustrations are especially appealing. I rarely think of hugging a ghost or a mummy or a monster or a skeleton or a witch, but I’m telling you, if these little characters were haunting my house, I’d insist on a group hug 🙂 So float on down to the bookstore or to your library and haunt the salesperson or librarian until they bring you GHOST IN THE HOUSE! Susanna Leonard Hill is the host of Perfect Picture Book Friday. Check out today’s links on her blog. She has compiled a categorized list of the books that have been reviewed on other Fridays. It’s an incredible resource for parents and teachers. For me as a writer, it has been a way to build my library list each week. To access the list, click HERE. Can you believe we’re going to talk about underwear today? Especially bears in underwear? Especially two bears in one big pair of underwear? Well, it’s not my fault. It’s Laura Gehl’s fault for writing a book that I just had to share on this Perfect Picture Book Friday. Synopsis: (from Booklist) The word underwear is enough to make kids erupt in giggles. But when two bears contemplate sharing one pair of underwear, youngsters will be rolling in the aisles. Add rhymes, tongue twisters, and alliteration into the mix, and you’ll find spirited entertainment in this picture-book introduction to basic concepts. A joy to read aloud with its well-paced rhythms…Placed on crisp white backgrounds, the digitally colored pencil illustrations are full of charm and humor. With a unique method of introducing subtraction, this wholly engaging title will be requested over and over again. Opening: ONE big pair of underwear. TWO brown bears who hate to share. ONE bear wears the underwear. 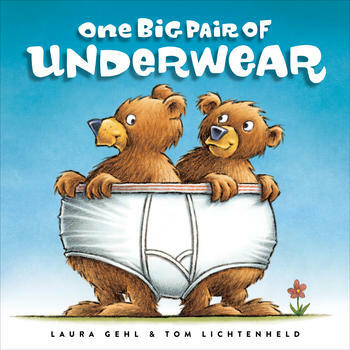 Resources: On her website, Laura has guides for using One Big Pair of Underwear for Language Arts and Math. Click HERE to view her guides. Why I Like This Book: Those of you who read my Perfect Picture Book posts know that I love silly, humorous books. So the fact that this is over-the-top silly is my number one reason for liking this book. But, last night I was rereading it to see if I could pick a few other reasons why I like this book (even though over-the-top silly is good enough for me 🙂 ). I read it out loud, of course, because that is way a picture book should be read. And even though I have read this book many times and I know what’s coming, I couldn’t stop giggling. So here we are back at the over-the-top silly reason, and that’s what I’m going with! That’s why I like this book! And without spoiling anything, I’ll mention a few things that made me giggle besides the underwear. So put on your underwear (and a few other items of clothing) and get to a bookstore or the library! Pronto!